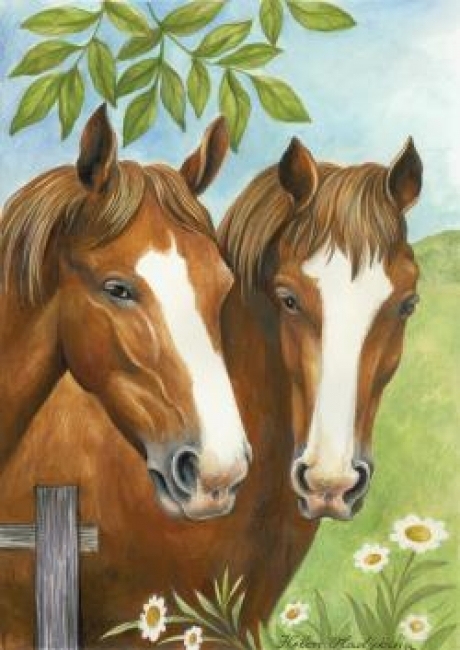 The Twin Horses Garden Flag is the flag you have been looking for. This garden flag features two horses in a pasture reaching over a wooden fence. A sight commonly seen on horse farms, now can be added to your garden.